How do I transfer music from iPhone to iTunes easily? If you have an Apple device i.e. iPhone, iPad or iPod touch, then you certainly use iTunes to transfer music to your device. However, sometimes, you need to get back your music to your iTunes library. There can be many reasons behind this, such as your system may have crashed or you accidentally deleted your favorite songs from your iTunes library. And luckily, you found that you still have the music on your IDevice. In this scenario, all you want to do is to transfer music from iPhone to iTunes. With iTunes, you can get back your music from iPhone to iTunes, but the problem is you can only transfer purchased music from the iTunes store. So, what about non-purchased and purchased songs from other sources? Don’t worry as this article has given the way to do this. Fortunately, iMusic can help you to transfer both purchased and non-purchased songs from your iPhone to iTunes without any hassle. 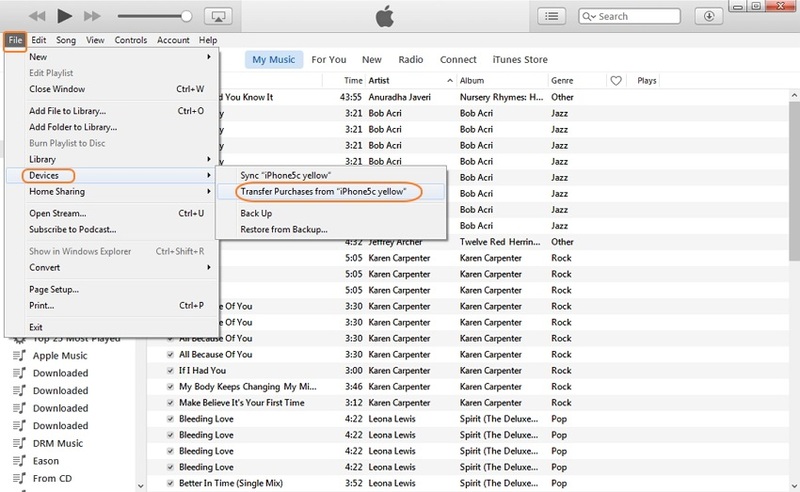 In fact, you can copy all type of music files from your iPhone to your iTunes library without any data loss. You can transfer songs purchased from iTunes store, songs downloaded from other sources or sites, and songs you streamed from the cloud-based storage service. You can download this music manager, downloader and transfer software on your Windows as well as Mac system. It is all-in-one music management software that can help you to manage your music, even playlist with so ease. Transfer iPhone Music to iTunes without erasing existing data. It let you download music from more than 3000+ music sites, such as YouTube, DailyMotion, 4Shared and many more. 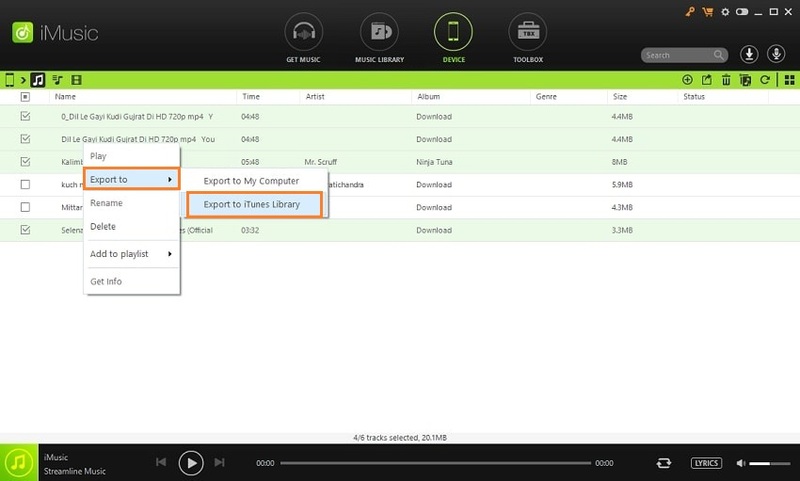 The software allows you to transfer music between Android/iOS device and iTunes/PC/Mac. You can record music from audio, or video or any site playing in your computer with just one single click of a button. 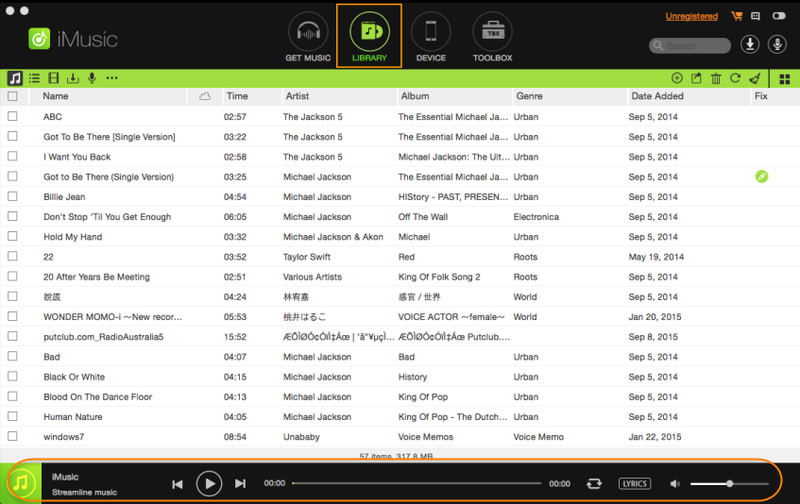 It comes with a built-in music library that allows you to browse and preview the latest music from many music sites. ou can download music in various formats, such as WebM, MP3, etc. To begin the process, download the iMusic to your computer from its official site and after that, install and run it. 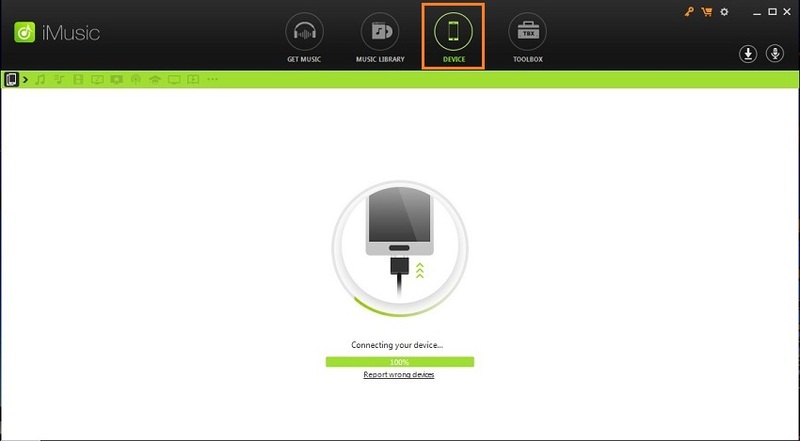 Next, click on the “Device” tab and connect your device to the computer with the help of a digital cable. 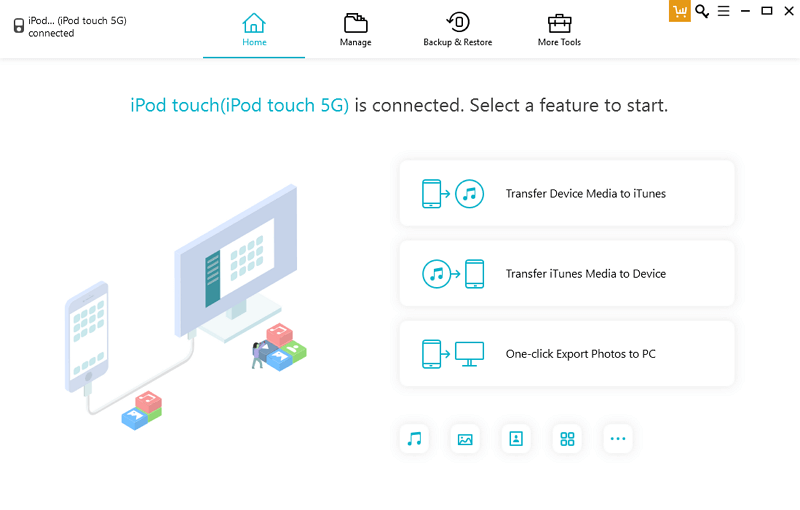 After the software detects your connected device, you will see various options. 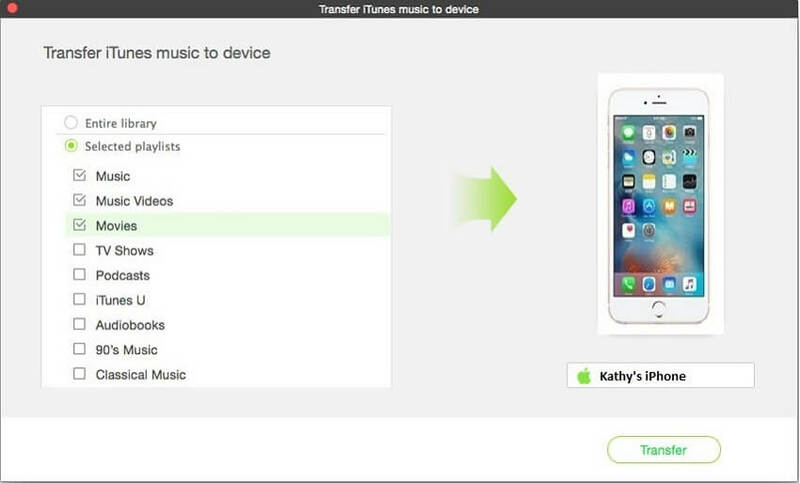 And choose “Transfer Music to iTunes” to transfer your music from your iPhone to iTunes. 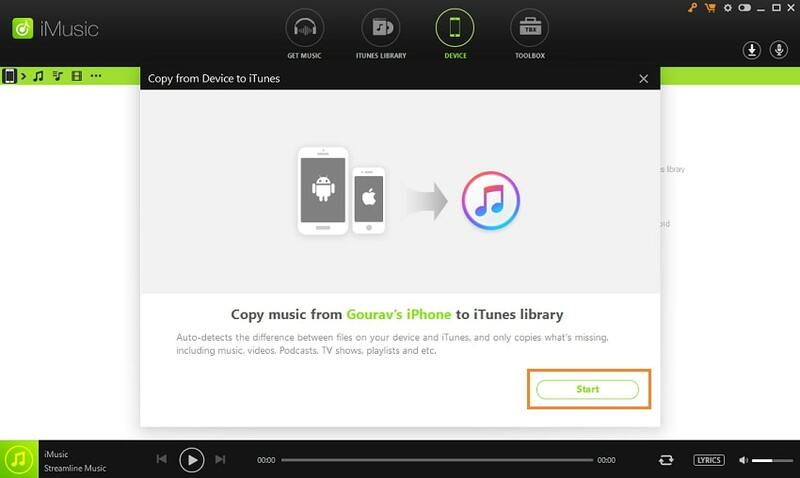 Now, here, you will get two ways to copy music from iPhone to iTunes and it is up to you which one you want to use. Choose Transfer All Music Files . Next, click on the “Start” button to begin the transfer process as shown in the figure. After that, you will get all the media files options. And check those media files you want to transfer and uncheck those you don’t want. 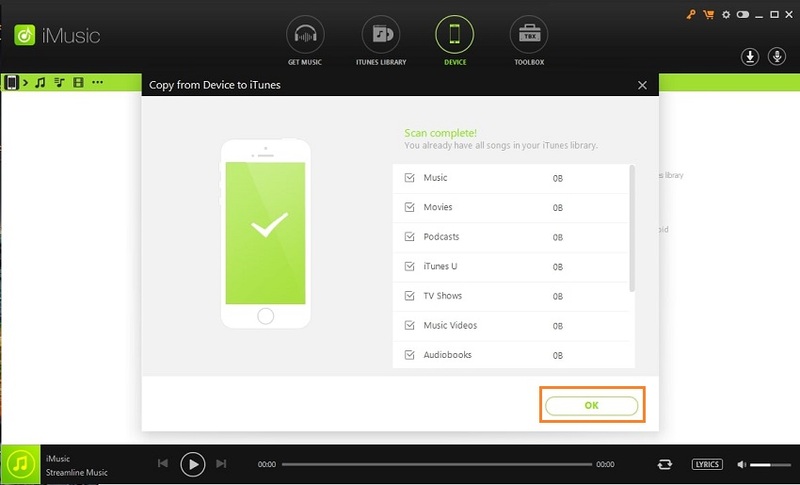 Finally, tap on the “Ok” option and this will transfer all music from your device to your iTunes library. This option is for those who want to transfer music selectively. So, tap on “Music” icon. Next, choose the songs or music files you like to transfer to your iTunes. After that, right-click on the selected music files and then, click on “Export to”>“Export to iTunes” option. That’s how you can transfer your music from iPhone/iPad/iPod touch to your iTunes library with just one-click and all thanks go to the iMusic software. If you don’t want to use third-party software to transfer music from iPhone to iTunes, then you can use iTunes to copy music from your iPhone to iTunes. However, there is an issue with this method and it is that iTunes can transfer only the purchased music from the iTunes store, not non-purchased. This all means songs you downloaded on your device from other sources will not be transferred to your iTunes library. If you just want to transfer purchased music from your iPhone to iTunes, then iTunes is recommended a way for you. Otherwise, you can refer to the above part. Step 1 : Before moving towards the transfer process, you need to make sure that you are using iTunes latest version on your system. If yes, then run iTunes. Step 2: After that, move to “Account” >”Authorizations” and then, select “Authorize This Computer” to give permission to your computer for your Apple ID. Step 3: Thereafter, log-in with your Apple ID and passcode and then, tap on “Authorize” for the completion of the authorization process. Step 4: Now, connect your iPhone to your computer using a digital cable. Thereafter, choose “File” and then, “Devices” option. And select “Transfer from [Your iPhone Name]” to complete the transfer process. Step 5: Once the process is finished, tap on “Recently Added” to check whether songs are imported successfully or not. That’s how to transfer songs from iPhone to iTunes via iTunes, and this method works only for the songs you have purchased from the iTunes store. Apart from iTunes and iMusic, there are also other two ways that you can use to transfer music from your iPhone or other iOS devices to your computer. For instance, you can take advantage of email or cloud storage service to transfer your music from iPhone to computer easily. 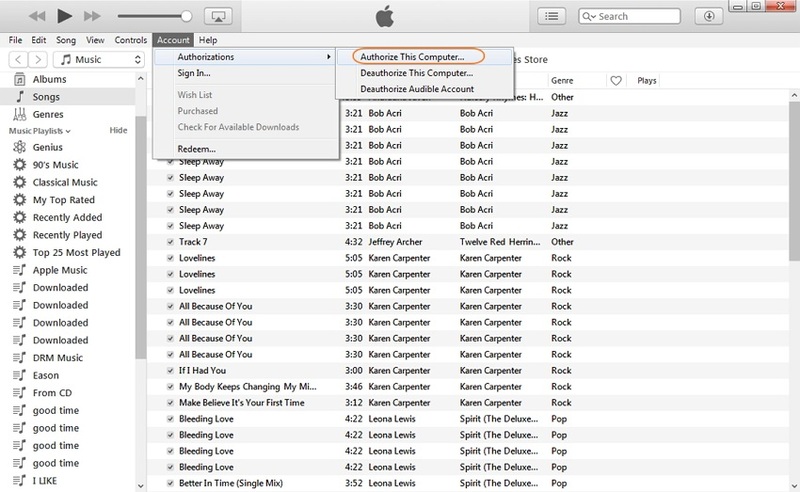 This will allow you to transfer songs you purchased or downloaded from other sources rather than the iTunes store. Let’s get into more deeply about these two ways you can use. Step 1 : Open Mail on your iPhone and then, compose a new email. After that, click the cursor to open the editing menu. Step 2 : Now, insert video file you want to transfer from your iPhone. 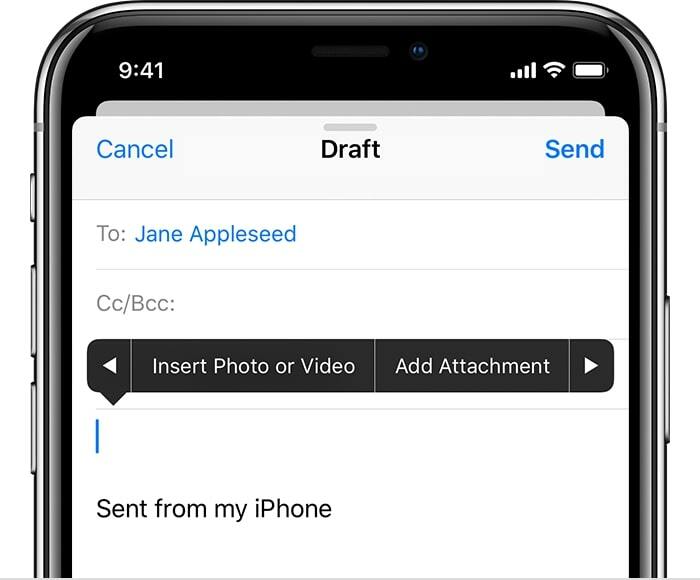 Once the file is added, click on the “Send” button to yourself. Step 3 : After that, access your email account from your system browser and download the music file from the email on your computer. You can use cloud storage service to transfer music from iPhone to a computer with ease. Luckily, there are many cloud storage services available on the internet you can use, for instance. Google Drive, DropBox and etc. Among all, DropBox is one of the most famous cloud storage services that users use to transfer mp3 songs from iPhone to PC. It provides free 2 GB of storage space to store files and if you want more space, then you need to pay to get more storage. DropBox is a great way to access your files across different platform without any trouble. However, there are two main things you need to do for transferring music from iPhone to the computer using DropBox .you need to first upload songs you want to transfer from iPhone on your DropBox app and then, you can download the songs you uploaded recently on your computer by accessing your DropBox account. 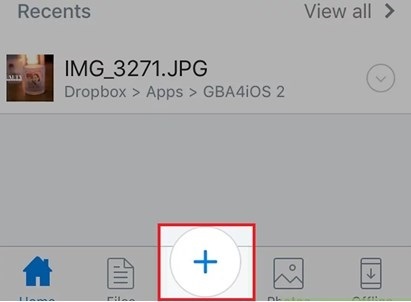 Step 1 : To begin the process, download the DropBox app on your iPhone from App Store and then, sign-in to your DropBox account. Step 2 : next, you need to upload music you want to transfer to your DropBox and so, tap on the “+” icon and choose the “Upload” option. And select the music you want to upload and then, click on the “Upload” button. Step 3 : Once songs you want to transfer are uploaded to your DropBox, access your DropBox account from your system browser and log-in to your account. Step 4 : After that, find the song you uploaded and then, tap on the (…) icon located on the right side of the file. And then, choose “download”. Step 5 : Now, wait until the download process is not finished and you will finally have the songs on your computer from the iPhone. Tranfer music from iPhone to iTunes with simple clicks. Conclusion: That’s how you can transfer music from iPhone to iTunes. This guide has covered the methods both with and without iTunes. As iTunes is highly susceptible to problems while transferring process and that’s why it is recommended to use iMusic. This tool is far better than iTunes to transfer music both purchased and non-purchased from your iPhone to iTunes. Amazingly, it is free to use and so, give a try to it and know yourself how incredible it is for managing and transferring music for iOS users.